We have progressed beyond the initial phase of free agency, which has modified the outlooks for many prominent players. Soon, the highly-anticipated NFL Draft will transform the fantasy landscape even further. 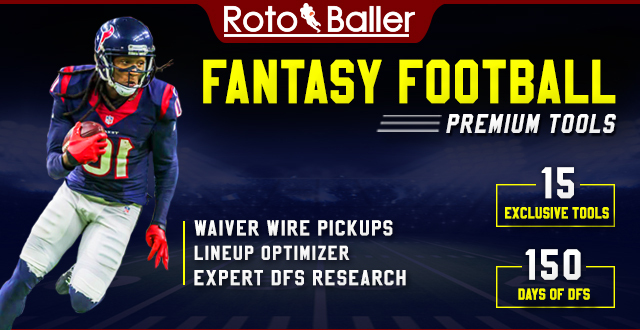 But even though a number of factors could alter the current projections that we have built for various players, that has not discouraged many members of the fantasy community from participating in early MFL10 drafts. Anyone who is already familiar with the MFL10s can attest to the exhilaration and habit-forming nature that results from being involved in these leagues. 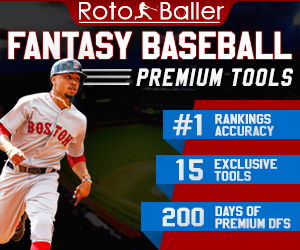 While those of you who are less acquainted with this format can be assured that these leagues deliver all of the enticements surrounding the draft process, while eliminating the need for any further effort once your roster has been constructed. Since your league champion is determined through accumulation of the highest point total from Weeks 1-16. 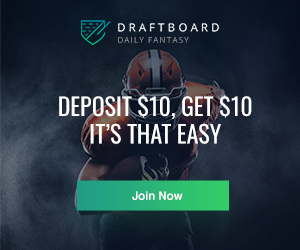 Even though you should always maintain the flexibility to deviate from any plan during a draft process, there are some specific strategies for MFL10 drafts that take place early in the offseason. Here are recommendations on how to construct your rosters, followed by a list of desired players to target in early MFL10 drafts. 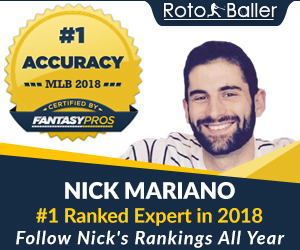 It is important to reiterate the most important aspect of participating in MFL10s: once you have completed your draft, all roster management is done for the year. 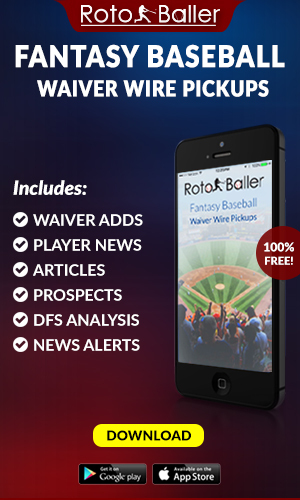 The lack of a proverbial safety net that waiver wires can often provide is the primary characteristic that differentiates the MFL 10s from other formats. But regardless of whether you participate in an 8-hour slow draft, or a 4-hour draft, some factors that you are accustomed to in season-long leagues will not be radically different. However, it is worthwhile to review some basic tactics for constructing your roster. In order to maximize your chances for success in this increasingly popular format. Draft 6 Running Backs And 6 Wide Receivers: You won't find any shocking revelations regarding either of these vital positions. It is essential to begin accumulating backs early, as two runners should be drafted within your first four selections. You should continue collecting backs through the remaining rounds, including several runners that possess both upside and risk late in the draft. The same principle applies to wide receivers. As you should gather them in conjunction with the backs before all of the players who are most likely to boost your weekly scoring have disappeared from the board. A reasonable goal is to draft a combination of four backs and three receivers after seven rounds. When the draft has concluded, you should have six backs, and six receivers in leagues that will last 20 rounds. Draft 2-3 Quarterbacks And 2-3 Tight Ends: Since your roster moves for the entire season will conclude once your draft has ended, you should make sure that two or three theoretically productive signal callers are safely secured for your team. Along with the same number of tight ends. Adding a third player at each position can offer a safeguard if you are confronted with multiple injuries, or unexpectedly low point totals from your other players on a consistent basis. It is also wise to wait at least seven rounds before seizing your first quarterback or tight end. Even though you may need to resist the urge to seize a top-tier quarterback. Or to decrease your chances of enduring another season of miniscule point totals at the tight end position. But if you deploy a third-round pick on Aaron Rodgers, Russell Wilson, Rob Gronkowski, Travis Kelce, or Zach Ertz, any initial sense of relief could quickly dissipate. Because that commitment requires you to wait until Round 5 before securing your RB2 or WR2. Which can leave you scrambling to locate viable options which no longer exist at the position that you neglected earlier. Avoid Chasing Rookies Before The NFL Draft: The enormous appeal of high profile rookies is understandable, and there is no need to completely avoid enticing newcomers, But if too many of these players are congregating on your early offseason rosters, then you could encounter a problem. While several rookies can be expected to line up as starters for their teams in Week 1, many others will gradually be blended into their teams’ offensive schemes at a pace that will be detrimental to your scoring totals. As a result, you should have a healthy respect for the uncertainty that currently exists regarding their destinations, which will ultimately determine their level of opportunity. Saquon Barkley is an exception to this cautionary tale. Since he should be a top-5 pick in the NFL draft, and almost assuredly will be chosen by a franchise that quickly entrusts him with a substantial workload. You can still target other newcomers who provide massive upside, but should refrain from collecting too many rookies until you know where they will perform this season. Avoid Injured Players In Early Rounds: This recommendation also involves the risk in chasing too much uncertainty. Because it can be tempting to gravitate toward talented veterans, even if they are currently recovering from significant injuries. Especially if you become fixated on the high quality numbers that they generated during their most productive seasons. Despite the appeal of these proven point producers, the fact remains that their 2017 regular season abruptly concluded due to health issues. Make sure that you do not become overly reliant on players that have question marks regarding their status for Week 1. Draft 2 Defenses: This is an obligatory reminder to wait until the very end of your draft to select your defensive units. While it may seem unnecessary, some owners have already reached for their defenses far too early in this year’s MFL10 drafts. At this point of the offseason, it is difficult to truly gauge the effectiveness of these units. Especially with teams that are dependent upon new players to gel in order to become a cohesive unit. Let someone else burn an 11th round pick on Jacksonville, while you bolster your roster at other positions. Once the conclusion of your draft is imminent (around the 17th or 18th round), you should commandeer two defensive units, in order to protect yourself in this MFL10 format. Here is a round by round approach through a 20+ round draft, which incorporates these recommendations. These suggestions are designed for an owner who drew the 8th slot, with the goal of building a realistic roster based upon the nuances of a draft. Since we often do not capture every player that we originally coveted before our roster was formed. This sample draft is created for a 12-team leagues with the PPR format, and was based upon myfantasyleague.com ADP data. Round 1: Alvin Kamara (RB, New Orleans) 1.08 - In this scenario, Todd Gurley, Le’Veon Bell, Ezekiel Elliott, David Johnson, Antonio Brown, DeAndre Hopkins and Odell Beckham Jr. have all been selected. An excellent case can be made for choosing last year’s rushing leader Kareem Hunt, although Spencer Ware’s return to health supplies a sufficient tie-breaker toward choosing Kamara. In addition to generating 13 touchdowns, he led all rookies with 81 receptions which was also 13th among all players. Kamara also garnered 17 red zone targets, and his importance within the New Orleans attack makes him a dynamic initial component for your roster. Round 2: LeSean McCoy (RB, Buffalo) 2.05 - Despite being burdened with the deficiencies of the league’s 29th ranked offense, McCoy finished fourth with 1,138 rushing yards. Only Le’Veon Bell was allotted more carries (287), and he should be utilized extensively once again. You should capitalize on this opportunity to build your team's foundation with a pair of potent backs. Round 3: Tyreek Hill (WR, Kansas City) 3.08 - The third-year receiver should already be a desired target in your leagues regardless of format. But he is an exceptional option in Round 3 of MFL10s, that can function as an WR1 for owners who utilized their first two picks on running backs. He amassed a league-best nine receptions of 40+ yards, produced 109+ yards four times, and could explode for more big plays now that gunslinger Patrick Mahomes has supplanted Alex Smith. Round 4: Doug Baldwin (WR, Seattle) 4.05 - It is difficult to understand why he remains available, after narrowly missing his third consecutive 1,000-yard season. He also scored eight times, and has now produced 29 touchdowns during his last three seasons. He is easily Russell Wilson’s top receiving option, and will provide an excellent WR2 for your roster. Round 5: Jerick McKinnon (RB, San Francisco) 5.08 – After generating career highs in multiple rushing and receiving categories with Minnesota, McKinnon obtained the expanded role that he desired via free agency. Now, he is primed to flourish while operating as Kyle Shanahan’s primary back. His ADP should ascend quickly in coming weeks, but you can find him available at this point of many current drafts. Round 6: Marvin Jones (WR, Detroit) 6.05 - In two seasons with Matthew Stafford, he has achieved the highest yardage totals of his career (1,101/930), and just tied for fourth with nine receiving touchdowns. He also finished fifth among all wideouts with 20 receptions of 20+ yards, and supplies owners with a reliable third receiver in Round 6. Round 7: Marquise Goodwin (WR, San Francisco) 7.08 - 13 of his receptions accumulated 20+ yards, while five generated 40+ in 2017. Neither Pierre Garcon’s return, or the potential addition of another receiver should prohibit the 49ers from deploying his big play potential. Round 8: Kyle Rudolph (TE, Minnesota) 8.05 - It is time to secure your first tight end while Rudolph is still attainable. Only Jimmy Graham produced more touchdowns at this position in 2017, and the 28-year old Pro Bowler has not missed a game since 2014. He will be a reliable target for Kirk Cousins, who has demonstrated the ability to successfully locate tight ends during his career. Round 9: Matthew Stafford (QB, Detroit) 9.08 - Maybe you were planning to wait even longer before drafting a quarterback. But with Rodgers, Wilson, Carson Wentz, Deshaun Watson, Cam Newton, Jimmy Garoppolo, Cousins and Andrew Luck already off the board, you don’t want to risk the downside of a massive gap in points at this position. Stafford has averaged 4,564 yards during his last seven seasons, and just finished 2017 as the QB7 with 274 fantasy points. He can now reward resolute owners who stockpiled running backs and wide receivers during the early rounds. Round 10: James White (RB, New England) 10:05 - There is always an inherent degree of uncertainty involved with selecting any Patriot running back, but we have now progressed into Round 10. Even with Dion Lewis on the roster, White's 72 targets were surpassed by just eight other backs in 2017, and his 12 red zone targets placed him sixth at the position. Those noteworthy numbers should not be overlooked, and the modifications of New England's backfield composition could propel him into an expanded role.